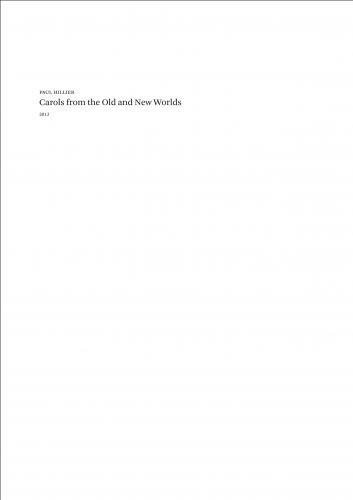 "These carol arrangements (together with a few original compositions) were made bit by bit over the past twenty years and first performed by whichever group I was working with at the time. Those groups have included Theatre of Voices, in both its Californian and now Scandinavian incarnations; the Pro Arte Singers of the Early Music Institute at Indiana University, Bloomington; Ars Nova Copenhagen; and most recently the National Chamber Choir of Ireland. I am indebted to all the singers involved, who thus unwittingly helped me prepare this collection, and equally to Robina Young and Brad Michel, who produced and engineered the four Christmas CDs I have made for Harmonia Mundi USA on which all the arrangements have appeared.